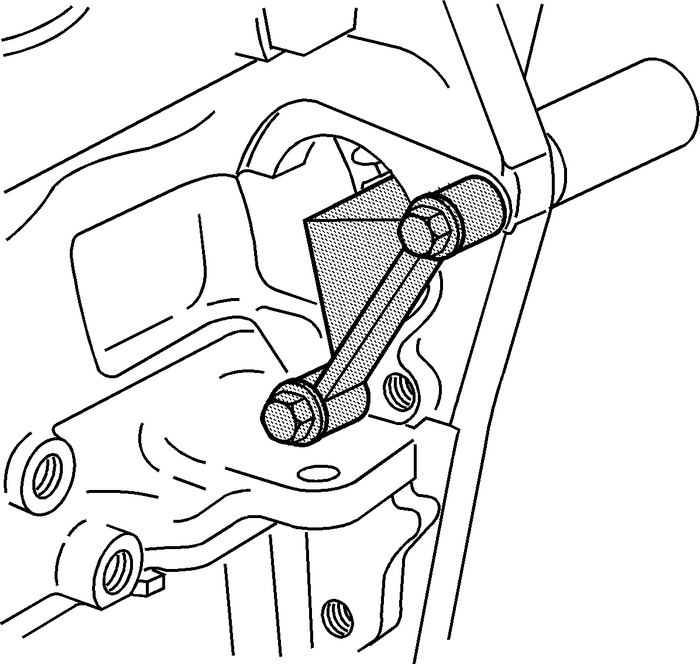 Install theEN 46106toolthrough the starter mounting hole. 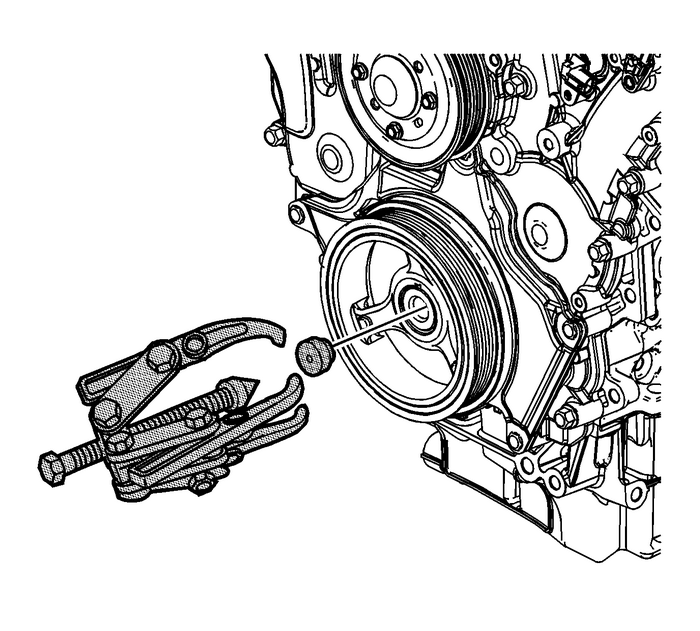 Remove and discard the crankshaft balancer bolt. 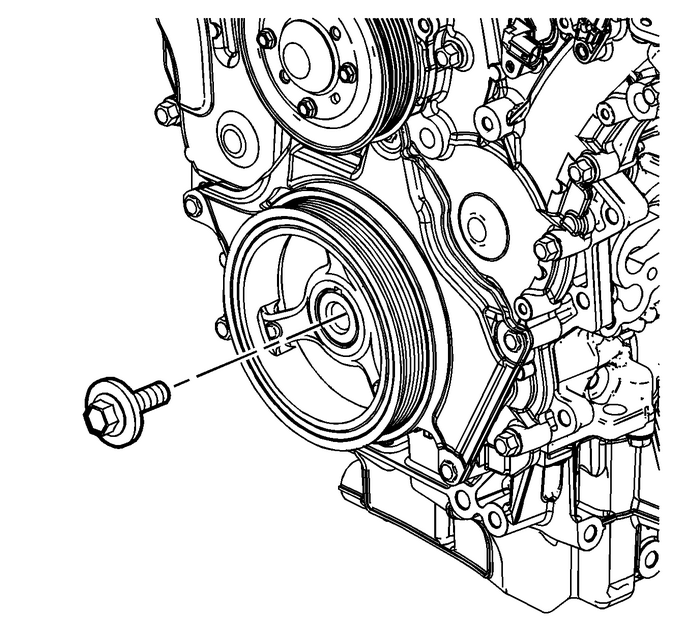 Install theEN 38416-2buttonin the nose of the crankshaft.Install theEN 41816removerin order to remove the crankshaft balancer.Tighten the center bolt of theEN 41816removerin order to pull the crankshaft balancer off of the crankshaft.Remove theEN 41816removerfrom the crankshaft balancer.